Máire Kirrane polled 1,169 votes and missed out on a seat. 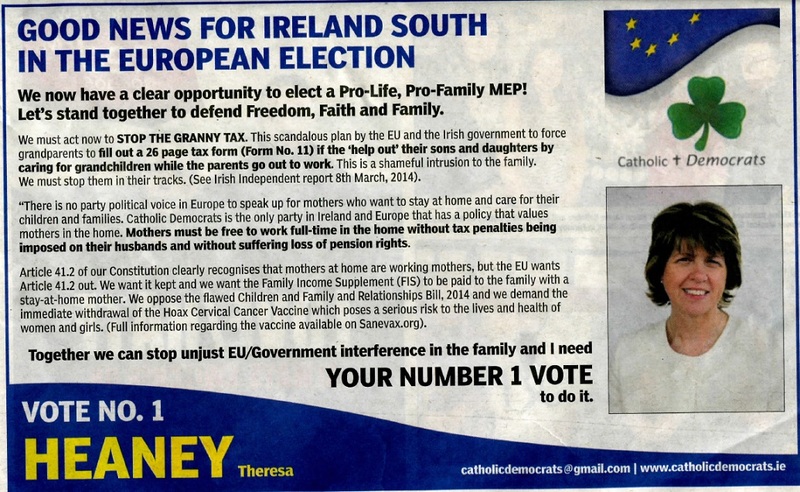 From the 1997 General Election a leaflet from National Party candidate Con O’Leary running in Cork North Central. O’Leary polled 1,114 votes. He had been elected to the City Council in 1991 and was returned again in 1999. 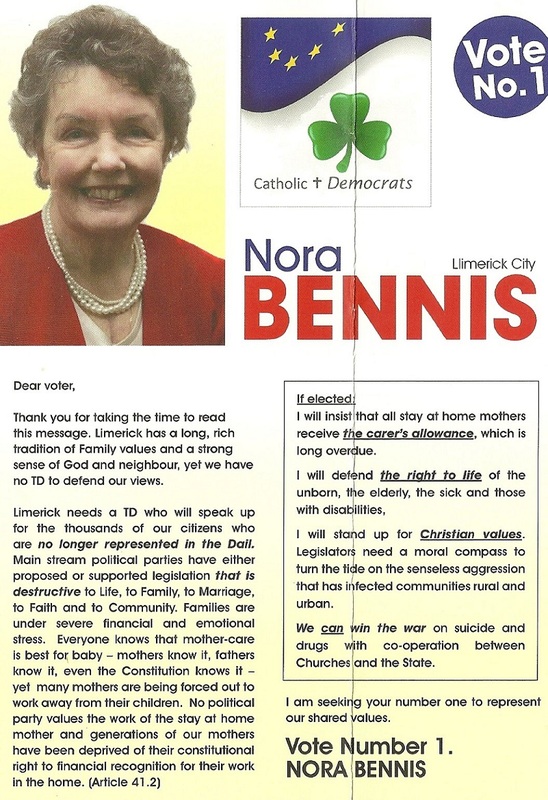 The National Party were a ‘Catholic’ party set up on the back of the success of Nora Bennis in the 1994 European Elections where she polled over 5% of the vote. 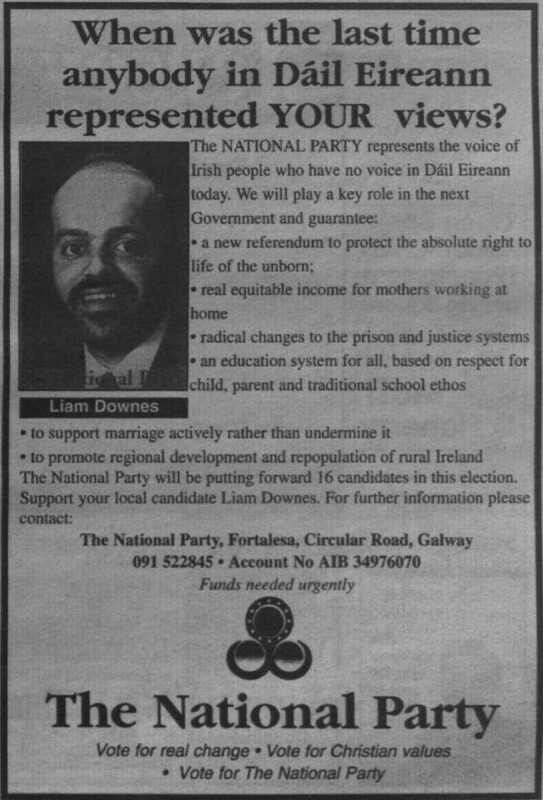 From the 1997 General Election an Ad for Liam Downes running for the National Party in Galway West, where he polled 959 votes and failed to win a seat. 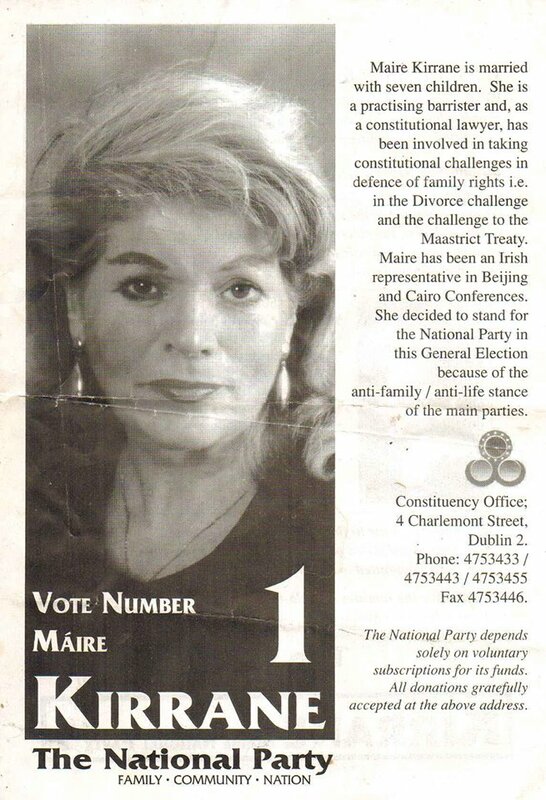 The National Party was set up after Nora Bennis (who became Party Leader) polled surprisingly well in the 1994 European Elections running as an Independent. 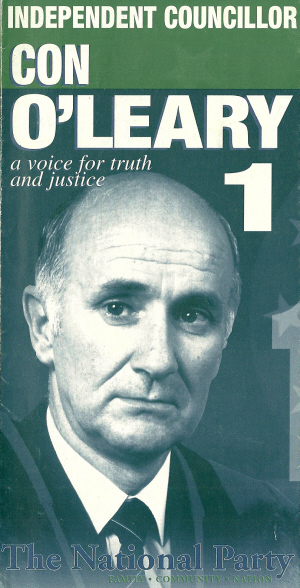 From the 1997 General Election a leaflet for Joe MacDonough running for The National Party in Dublin North West. He polled 614 votes. 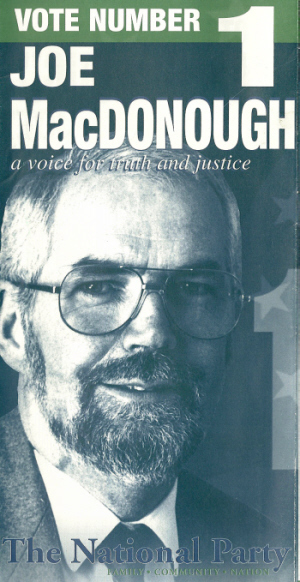 In 1992 Joe MacDonough had run for the Christian Centrist Party and got 741 votes.